Dave began playing guitar at age 9, influenced initially by the Beatles, and later by British hard rock bands. At age 13, he began experimenting with tape loops, not realizing that many have done those same experiments as many as 35 years before that time. After studying music composition in college, he was inspired by ambient music pioneers such as Robert Fripp and Brian Eno, and thus began exploring looping, guitar synthesis and effects. His love for guitar technique and exploration came for his love of pioneering guitarists John McLaughlin, Steve Morse & Robert Fripp. Experimenting with loops and guitar synth, he started the ethereal/ambient duo, Future Perfect, and later went on to form the improvisational Hazard Factor. 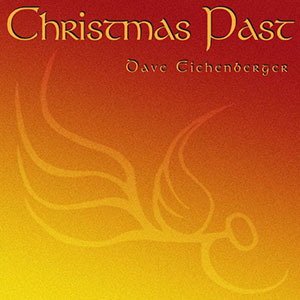 During this time, he was also releasing solo CDs, from the ambient looping of Digital Mythology to the acoustic Christmas Past.Since 2006, he's used his unique guitar style to perform and record with international singer/songwriter Julie Black. Dave has worked on a project called Collectives, which consisted of 50 CDs, each an hour long. Funded in part from a grant from the National Endowment for the Arts and the Cultural Affairs Division of the State of Florida, there was only 1 copy of each CD. Once bought, the music belonged to only the one owner. 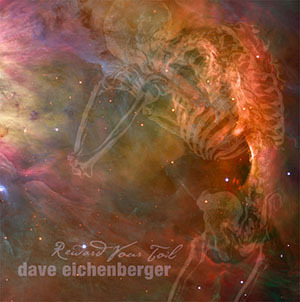 Dave has released a sampler CD from the 50 CD set to a wider audience. Dave's last recording project, Reward Your Toil, consisted of a DVD-Audio disc with 14 hours of music for quiet and reflection. The multimedia portion consisted of dozens of blog posts, outtakes, and a sampler from all 14 hours. While Dave continues to write and record original music, he also continues to appear with Julie Black at jazz and blues festivals. He continues to write for pickup & pedal manufacturer Seymour Duncan, and has taught guitar to over 1000 students in his home town. He is also finalizing the release of Collectives Sampler, Vol 2, his 50 CD/50 hour project. "Fuses ethereal soundscapes with interesting rhythms sometimes evoking Pink Floyd and Jethro Tull."